DETROIT RUNNER....: Waugoshance trail race in one month! As I prepare to run my first Great Lakes Endurance run this year, the Two Hearted Half, in two weeks, we have a month until Waugoshance marathon(I'll be running the half) in Mackinaw City. Waugoshance is the first race I ran with Great Lakes Endurance last year and the reason I'm running all of their Michigan summer races this year. The Waugoshance course in incredible and, at least for the half, is not extremely difficult. In fact, if you are thinking of running a trail half marathon, I think this would be an awesome one to try out for your first. You get some hills on the Waugoshance course but much of the course is small rollers. Take a look at my elevation from Garmin at last year's race. You can also read my experience as well as see the entire course from last years race HERE. As you can see from the map below, this is a point to point race. If you run the half, you start at the Wilderness State Park. Of course, the full will take you our further. I'll actually be staying at the campground at the State Park this year. While it's probably more convenient to stay at a campground in town, I really wanted to stay out there because it looks beautiful and it's on the water. The race busses you out to the starting point and then you run back. You can see we pass a small lake on the route which is so beautiful. Actually the entire course is beautiful! It's Great Lakes Endurance's way of doing things. Find great trails to do races on. This one is no exception. The trail has some nice pines area to start. It has nice rolling forests with ferns. The course has the beautiful lake and it has some really muddy parts that were very technical. You finish on a asphalt path and have the opportunity to make up time there since it's flat and fast. While I didn't run the full last year(and won't be this year either), my buddy ran it and last year it rained so he had wet feet from around the 13 mile point as there was flooding in the State Park. He said it sure made for a challenging run with wet feet for 13 miles. For your entry, you get what I feel is one of the most beautiful trail courses I've run on. You get a tech shirt and also a cool wooden medal. If you place in your age group, you can win a ceramic bowl made by a local artist. The race is always trying to include things in locally where they can. I saw the bowls last year and it makes be want to run hard to get one. Haha! 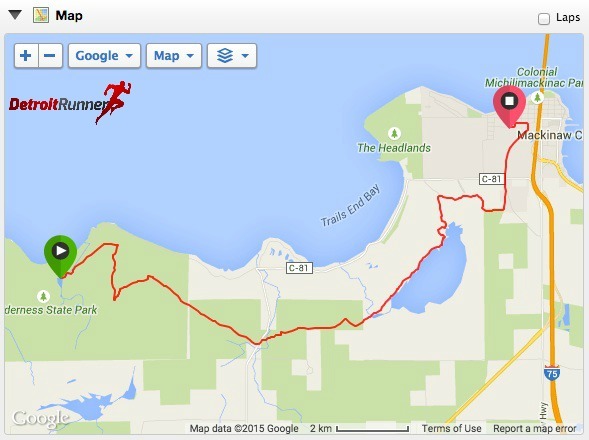 Consider joining me in Mackinaw City on July 11 and make a nice race vacation out of it. I guarantee you will love this race. 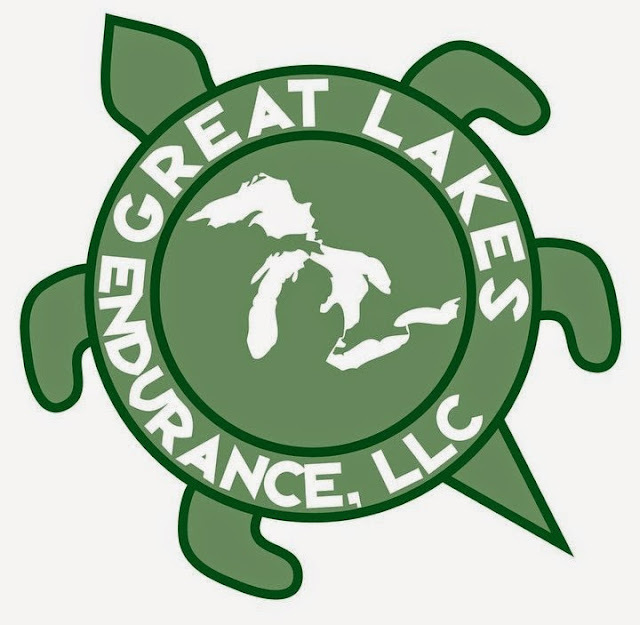 If you are interested in more information, please go to the Great Lakes Endurance website to sign up now. Disclosure: I am receiving a discounted entry into this years race in exchange for a race review. All opinions are my own and I'm not required to provide anything other than an honest opinion of the race.